Someone from your executive team just came over to you with the strategic opportunity to sell through a new retailer. Awesome. But wait. They need product content. And good product content, at that. In…4 weeks. Seems impossible, right? Not only is it possible, but there’s actually a way to breeze through the process with less stress and more success. Here at Salsify, we’ve learned and perfected our know-how and technique which we’ve used to help our customers go from panic to success in under a month. Establish your strike team – who will I go to for content and when will I go to them? Retailers often have a wide variety of product attributes that you can map your product content to. Some of these attributes are required. Others are optional. It’s important to have an understanding of which attributes you absolutely must have product content for and which you do not. Every retailer is different. For example, Walmart and Target might not have the same required attributes and even if they have similar requirements, they are often looking for different formats for these required attributes. 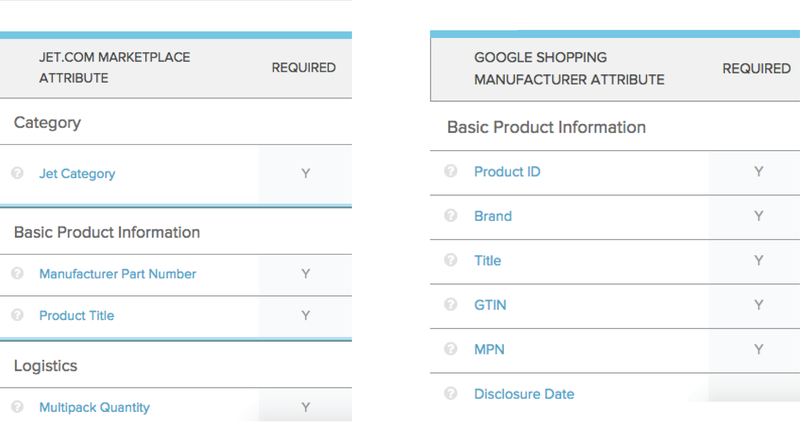 Jet.com and Google Shopping not only have many different required attributes, but even the same required attributes are given different names. 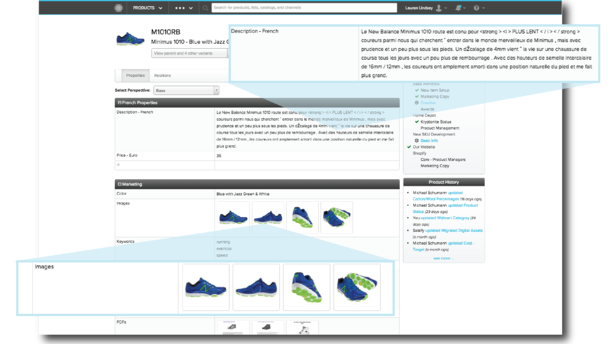 Salsify has schemas in place to help customers understand the unique requirements that retailers have. These schemas not only include the retailer’s attributes but also the way in which these attributes need to be formatted. Map your product content to each channel’s requirements. Submit your content. Wait. Hear back from the retailer on what needs to be edited, what is missing and what you could add. Most retailers have validation built in where they will come back to you with the gaps, therefore, the sooner you send content over, the sooner you will hear back on what you need to tweak. Salsify handles retailer validation directly within the platform through its Readiness Report capability. Users are able to quickly see which products meet a retailer’s requirements and from there, make changes to their content so that it will be accepted by the retailer. Retailer Reports catch every little gap and error, ensuring that you get your content is 100% accurate when you publish to a sales channel. Gather the data you were missing- often times product content is stored in multiple locations that are maintained by different people. Yikes! By using workflows to complete a gap analysis, you can not only determine where the product content is but also who is responsible for gathering that data. Readiness Workflows let you assign an owner to every last task, ensuring that no content slips through the cracks. Add in the lower priority content – Salsify’s platform helps you figure out the information you need to fill in optional attributes for your products. This can differ from retailer to retailer. Resubmit your products to the channel. Or, more likely, respond to the next fire drill.